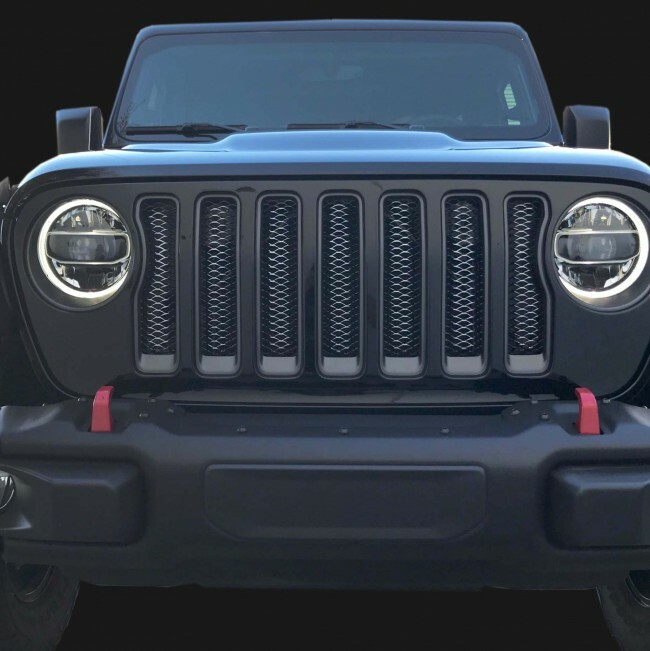 Add a unique look to the front end of your JL! 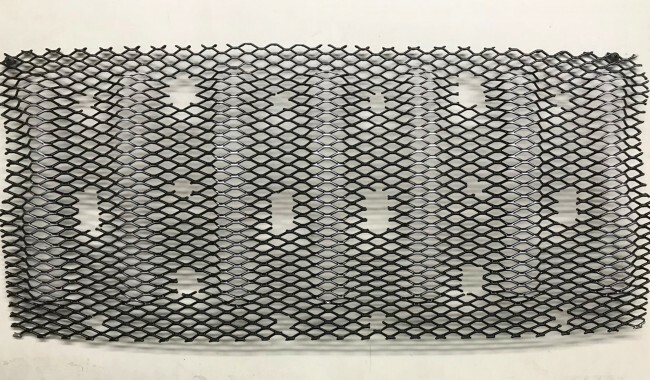 Here we have our Diamond Cut Steel Mesh as a 1pc Grille Insert. 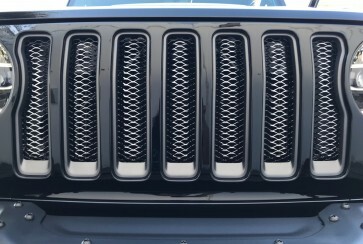 Grille installs as an insert, using custom flange brackets to secure the fitment and the original OE bolts. 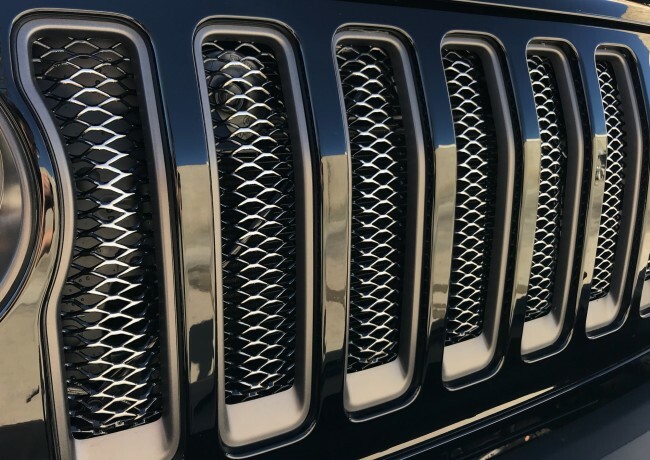 This steel grille is precisley formed to go with the curvature of the JEEP JL and within the 7 Jeep opening. 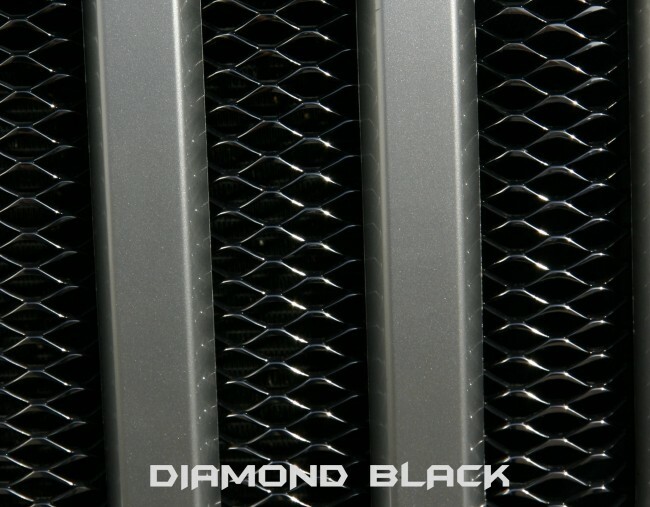 This grille comes standard in Diamond Black. Which is all gloss black. 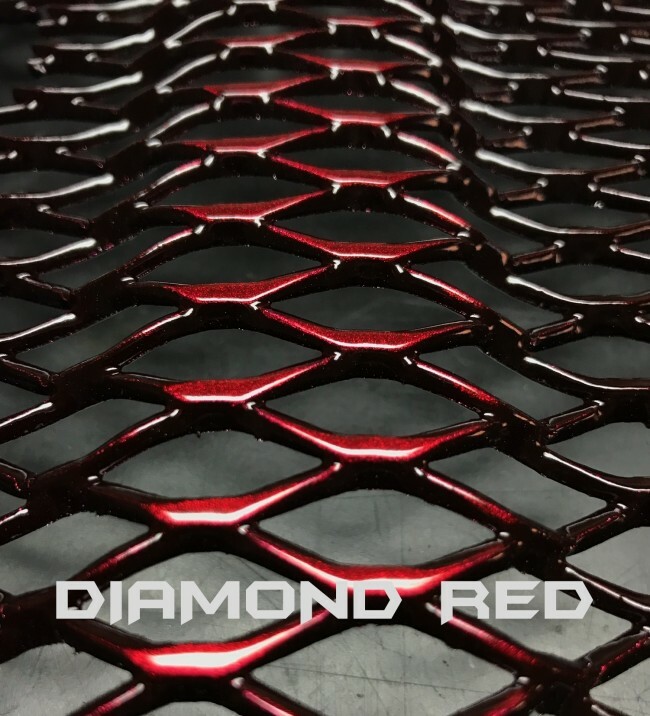 Grille is also available in Diamond Wild & Diamond Red. 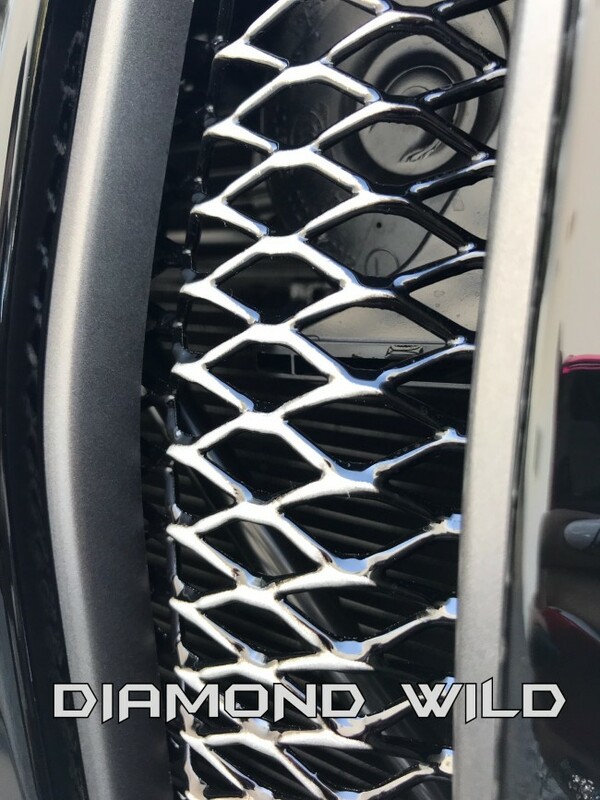 Diamond Wild is our 2-Tone Gloss Black with the front face opening inserts in silver. 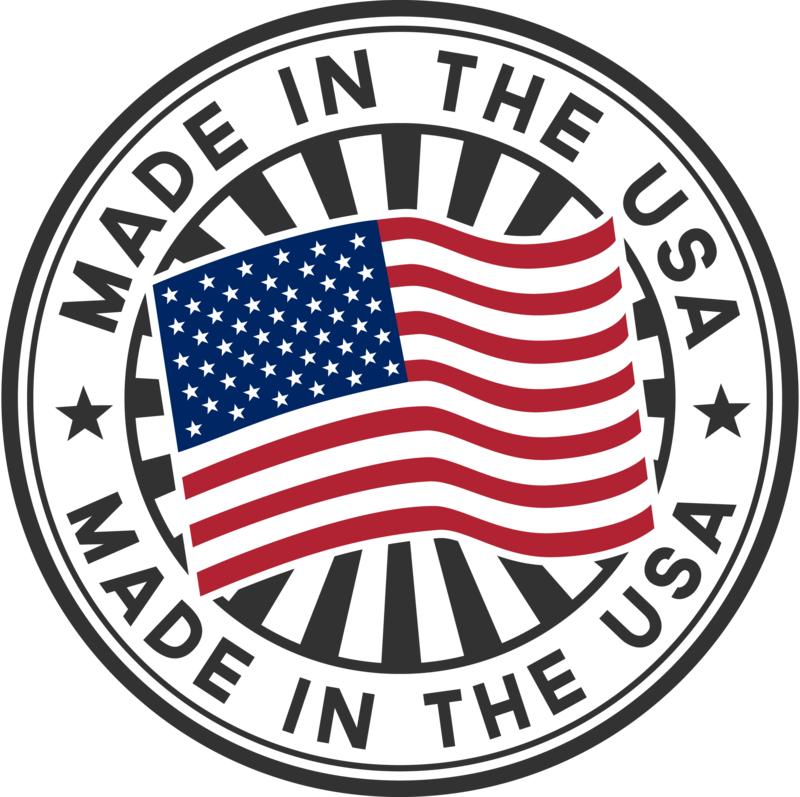 Diamond Red is also a 2-Tone finish in Gloss Black with the front face opening inserts in red.